From the very first day it premiered 3 years ago, I have been a faithful viewer of The Chew. From Michael Symon’s funny giggle and banter with Mario Batali to Carla Hall’s witty personality, I just love it! 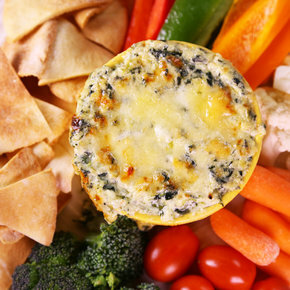 This week a couple of recipes made me take notice but specifically Carla’s Cheesy Baked Spinach Dip. Over medium heat, melt Butter with Olive Oil in a sauce pot. Add Onions, season with Salt and sauté for 3-4 minutes or until soft and pale golden. Sprinkle in the Flour and stir until a dry paste forms. Slowly whisk in Milk, trying to avoid lumps. Stir in the Hidden Valley® Original Ranch® dip mix and reduce heat to low. Cook, stirring occasionally, for 10 minutes or until thickened slightly. Stir in the Cream Cheese and half of the Swiss Cheese until melted. Add the Spinach and remove from heat. 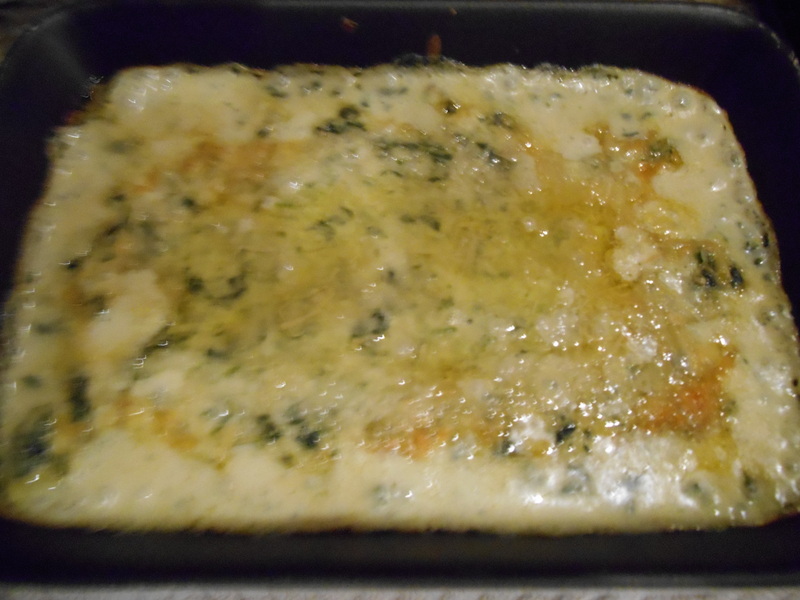 Place the baking dishes on a rimmed sheet pan and top with the remaining Swiss Cheese. Bake for 30 minutes or until golden brown and bubbly on top. Bottom Line: Bland (Sorry, Carla)! Even the one that I added the jalapenos to fell flat. There are so many better recipes out there for if you are going to have this type of decadent dish! This one needs a lot of help and it isn’t worth making in your kitchen. That being said, another recipe I tried from the same show turned out perfectly and I will be sharing it soon…Stay tuned!